Home » Nocturnal Eating Sleep Disorders » What Is Nocturnal Sleep Disorder And How Does It Affect Your Life? What Is Nocturnal Sleep Disorder And How Does It Affect Your Life? Nocturnal sleep disorder is one of the rarest sleep disorders which is characterized by unusual habits during sleep. 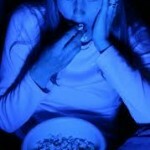 Generally, in this disorder, a person gets to abnormal eating habits in night time. 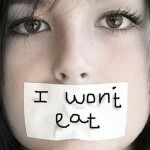 For eating habits, nocturnal sleep disorder is considered as nocturnal sleep related eating disorders. This sleep disorder is not very common as other sleep disorders like sleepwalking. Though, there is a relationship between nocturnal sleep disorder and sleep walking because it usually occurs while sleepwalking. So, it is quite strange sleep disorder in which one eats in abnormal way which he himself is not aware of. How A Patient With Nocturnal Sleep Disorder Acts Under Its Effect? Being in the effect of nocturnal sleep disorder, a patient urges to eat when he is sleeping. So, he wakes up and walks into the kitchen to eat food. This way, when it happens again and again in short duration, the sleep disorder can cause several side effects like weight gain, diabetes, tiredness in daytime etc. When, nocturnal sleep disorder takes place in a patient’s life, he does not aware for the same. Though, it makes the patient feel curious whatever he sees next day with him. When individuals start handling food, nocturnal sleep disorder helps them distinguishing themselves. Such people usually are very dangerous for themselves. While eating unconsciously, there are greater chances for patients to get themselves hurt. Some patients start eating food with bare hands, though some of them have food with utensils. Doing so, patients encounter different types of injuries. Mostly, the injuries occur when patients start preparing food for them under effect of nocturnal sleep disorder. Along with such injuries, many patients have reported with other effect for weight gain that occurs in short span of time to them. This sleep disorder causes different types of effects to a person’s life. Irritability is one of the most common and usual side effects of this disorder. The reason for the same is the condition results into restlessness to a person. A patient does not get required sleep at night. When they learn about their act of night, it makes them full of guilt. Thus, all such things encourage irritability to them. Along with restless sleep, they also experience vivid dreams. The sufferers of nocturnal sleep disorder feel it difficult to make control on their food consumption while being asleep. 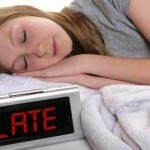 Moreover, when they get up from sleep, they still feel problem in making control on themselves. Though, the effects are varied as some people stop themselves from being indulged into unconscious appetite and some do not succeed in this attempt. Therefore, to manage nocturnal sleep disorder, only a trained physician can help patients in treating up this sleep disorder. What Are The Treatments Available For Nocturnal Sleep Disorder?